Amendment one states that "Congress shall make no law respecting an establishment or religion or prohibiting the free exercise thereof; or abridging the freedom of speech, or of the press; or the right of the people peaceably to assemble, and to petition the government for a redress of grievances"
Explanation- Congress cannot make a law prohibiting freedom of speech, but there are limits. You can go out in public and say that you don't like our president, or that you don't like a law. The thing that you can't do is go out and say that you are going to harm the president, or harm someone. 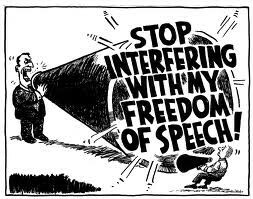 Historical-They made freedom of speech part of the first amendment because when the colonists were in england they did not have a say in the government and in their lives, so the founding fathers wanted to ensure the USA would not be the same as England. Current Use-On September 14, 2012 a judge demanded a 12 year old's Facebook password because she was saying bad things about something, but that is freedom of speech. 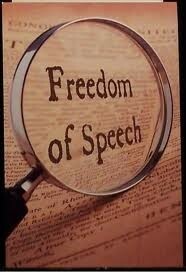 Opinion- In my opinion i think that the way our government deals with freedom of speech is good. They let you have freedom of speech but that there are good, reasonable limits. 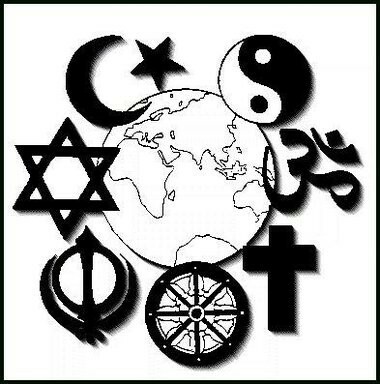 Explanation-Congress cannot make a law prohibiting someone from practicing their customs and religions. 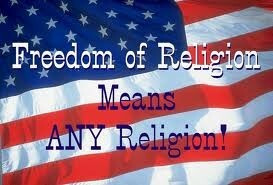 You are free to be jewish, christian, muslim, or atheist. Historical- In history there was a time called the holocaust. During this time jews were sent away to concentration camps to work, and be killed. This occurred because in Germany they did not have freedom of religion. This is one of the examples of why I think that freedom of religion is very important. Current use- On August 1 many Americans lost their freedom of religion. Their choices are to either abandon their religion, or pay unreasonable fines.These people are begin asked to pay fines that violate their religion. Opinion- In my opinion we are still battling some religious issues in America. It's not terrible but it still needs to be worked on. People have a right to any religion they wish to practice. People should have the right to believe in any god, or practice anything that they believe in. 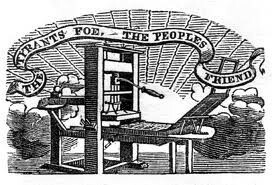 Explantation- Congress cannot make a law prohibiting newspapers, and magazines from publishing what they want, but if people are publishing government information that the government does not want people to know, then they can prevent them from publishing it. Historical- I think that this amendment was adopted because this kind of goes with freedom of speech. 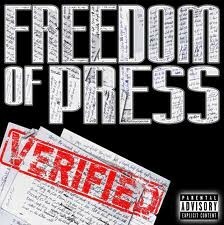 If you have freedom of speech you should be able to voice your opinion in a magazine, or newspaper. Unless the information is government secret information, or information that will harm someone physically, than it can be published. Current use- An example of a current freedom of press case is when a newspaper wanted to publish a story about what happened in a trial. The government did not let them because it would publish private information. Opinion- In my opinion I think that it is good that we are able to publish whatever we would like. There are obviously limits, but other than that people should be able to voice their opinion. 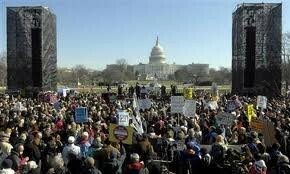 Freedom to assemble- Congress cannot make a law prohibiting people from assembling , or having meetings. If a group wanted to assemble in the streets of New York City they technically would be able to, but if it becomes a distraction or there are too many people, then the government can stop the assembly. Historical-In 1976 a neo-nazi group wanted to march through an area in Chicago in which many holocaust survivors lived. The city refused to let them do this. In my opinion this was the right thing to do, because it could've brought harm to the survivors. Current use- A bunch of people assembled in front of a foreign embassy. They told them to leave, but that was violating their right to assemble. They were not on private property. 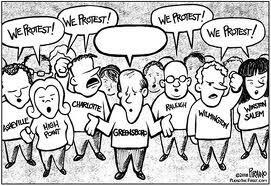 Opinion- I think the way that the government handles the freedom to assemble is good. 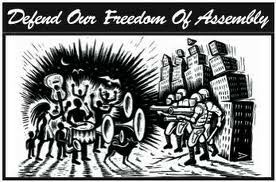 They allow you to assemble as long as you are not bothering other people or you are on private property. Explanation- Congress cannot make a law make a law preventing people from petitioning. If you did not like a law, then you would have the right to petition, and the government cannot take that away from you, but if you are on private property, then they may ask you to leave. Historical- In my opinion i think that the reason the founding fathers created the right to petition is because you should be able to stand up for what you believe in. If you do not like something it is important that you have a say, especially if it effecting your life. Current use-In November of 2001 Don bird started a writ against a former governor of California, saying that he was not abiding by the rules of office. The government told him to stop, but that would be violating his right to petition. Opinion- In my opinion we need the right to petition, and no one can take that away from us. If we don't like something, we need to be able to stand up for our rights as American citizens. 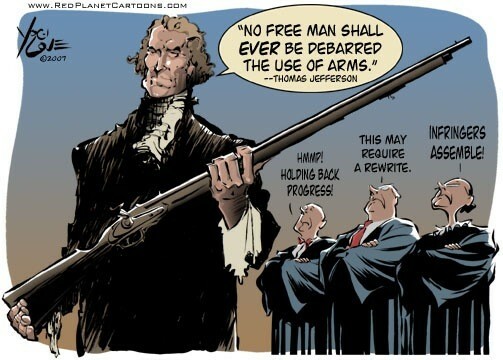 The second amendment says that " A well regulated militia, being necessary to the security of a free state, the right of the people to keep and bear arms , shall not be infringed"
Explanation- Many people see the paragraph above and don't understand to the full extent what it means that the right for people to be able to protect themselves by using guns shall not be taken away from them. It is also saying that an army is necessary to protect our nation, and in order to have an army, you need to own guns. 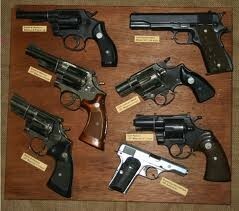 Historical- The founding fathers made this amendment because people needed a way to protect themselves against harm. 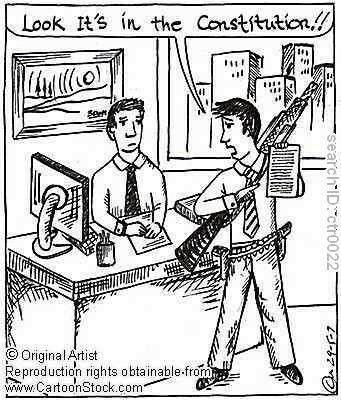 The right to own a gun or fire arm is very important to protect yourself. Current use- A current example of the right to bear arms is the shooting that occurred in Newtown, Connecticut at Sand Hook Elementary. A crazy man named Adam Lanza came into his mom's kindergarten classroom and shot her, a bunch of kindergarten kids, as well as himself. This was against the right to bear arms because even though you are allowed to own a gun, you are not allowed to use it to murder people for no reason. Opinion- In my opinion we should not have the right to bear arms. This just causes so much trouble, because someone who might be totally normal one day, may become bad and shoot people, or harm people.